Greenville was originally called Pleasantburg before its name was changed in 1831. Greenville County was created in 1786 from Spartanburg District (now Spartanburg County), but was called Greenville District from 1800 until 1868. The name Greenville may have been named after General Nathanael Greene, an American Revolutionary. In February 1869, Greenville’s Town Charter was amended as a city. In the late 19th century, textile mills were founded providing new employment to the residents who were mostly farmers. Greenville became known as the Textile Center of the World. Greenville is located east of the Blue Ridge Mountains in the Upstate South Carolina, a lush, rolling midpoint between Atlanta, Georgia and Charlotte, North Carolina. Greenville, SC real estate is located approximately 103 miles southwest of Charlotte, about 2 hours and 15 minute drive and 145 miles northeast of Atlanta, about 2 hours and 30 minute drive. It lies along Interstate 85, and its metropolitan area also includes Interstates 185 and 385. Greenville, SC is made up of 26.1 sq. miles of land and 0.1 sq. miles of water. Set against the scenic Blue Ridge Mountains, Greenville SC has stunning natural beauty combined with traditional southern charm. Greenville’s downtown area is one of America’s Best Downtowns. Greenville SC is named as one of the 10 Fastest Growing Cities in the US and is consistently ranked among the country’s top cities to do business and best places to live. Once a booming textile town, Greenville is now home to numerous Fortune 500 companies. More than 30 companies have moved to Greenville since 2000. These brought about $1 Billion of investments and hundreds of job openings. With more than 80 international firms in Greenville County, Greenville has evolved from a textile manufacturing state to a hub of international companies including BMW, Samsung Networks America, Michelin, GlaxoSmithKline, Mitsubishi, Kyocera, and Bosch Rexroth. International and local businesses continue to thrive in Greenville thus strengthening the economic growth and providing job opportunities for many. Greenville, SC may not be a big city, but it has everything. There are 39 parks, playgrounds, jogging trails, sports centers, picnic grounds, ball field, great dining and shopping options around the city. These attractions enhance the quality of life in Greenville. The Bi-Lo Center, Peace Center for Performing Arts and Greenville County Museum of Art are among the popular cultural attractions. Greenville SC is also known for celebrating big events like Fall for Greenville, Artisphere, Euphoria and other outdoor events and concerts that showcase music, food, dance, heritage, and more. Greenville is a great supporter of the Arts and has activities indoor and out almost year round. From live theaters around the city; to museums, performing arts and festivities that strengthen cultural awareness; to picnicking and jogging; to walking in the trails from Falls Park or walking across the Liberty Bridge; to cycling along Swamp Rabbit trail or hiking the Caesars Head Park, residents of Greenville SC real estate never run out of things to do. 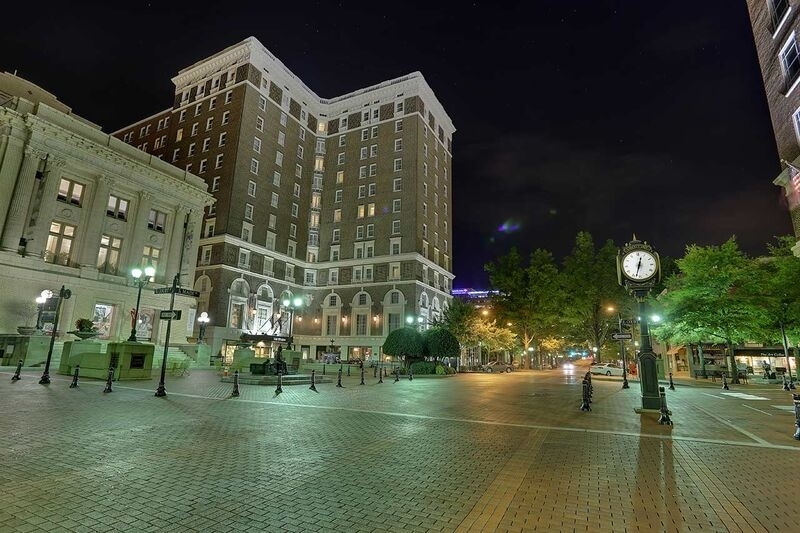 Greenville, SC features a variety of real estate that ranges from historic homes to affordable single family communities, to estate properties worth millions. With more than a decade of bustling real estate activity, there are old neighborhoods with mature landscaping, condominium communities, and new-home communities just sprouting. The average price tag is in the high $200s and homes range from the low $100s into the millions. Greenville, SC has many communities with distinctive features that make them great places to live. There is always something for everyone. There are many communities offering wide range of housing options with price ranges that appeal to families and individuals of all income level. Greenville SC Real Estate boasts great neighborhoods in the urban and suburban areas. People who desire the urban lifestyle can choose from the popular Augusta Road or North Main Street communities. Augusta Street area is regarded as one of the best “old neighborhoods” in Greenville. Those who desire the suburban life will enjoy the Five Forks or Woodruff road area. These great communities come with award-winning schools. There are many schools and academies offering unique educational opportunities for all school levels. The cost of living is lower compared to other states, the housing is affordable and taxes are low making it a desirable place to live. Didn’t find what you’re looking for? Check out all of Greenville SC Neighborhoods and Communities here. This page lists all Greenville, SC real estate and neighborhoods available on the market today. Greenville, SC is the largest school district in the state of South Carolina and the 47th largest in the US. There are 62 schools in Greenville and it has a couple of outstanding schools. If you are looking for some of the best schools in Greenville, check this list and also check the homes assigned to them by following the link.